West Creek falls is an impressive waterfall located in the Lumpy Ridge area of Rocky Mountain National Park. 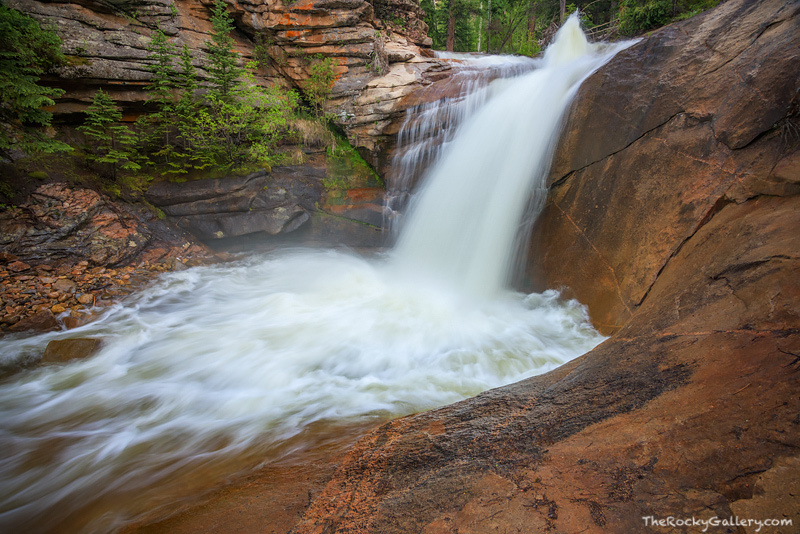 Because it sits on Rocky's eastern boundary it does not see as much visitation as some of Rocky Mountain National Park's other waterfalls. West Creek Falls drops down into an impressive bowl of granite and during the springtime its an impressive location to photograph. Photo © copyright by Thomas Mangan.